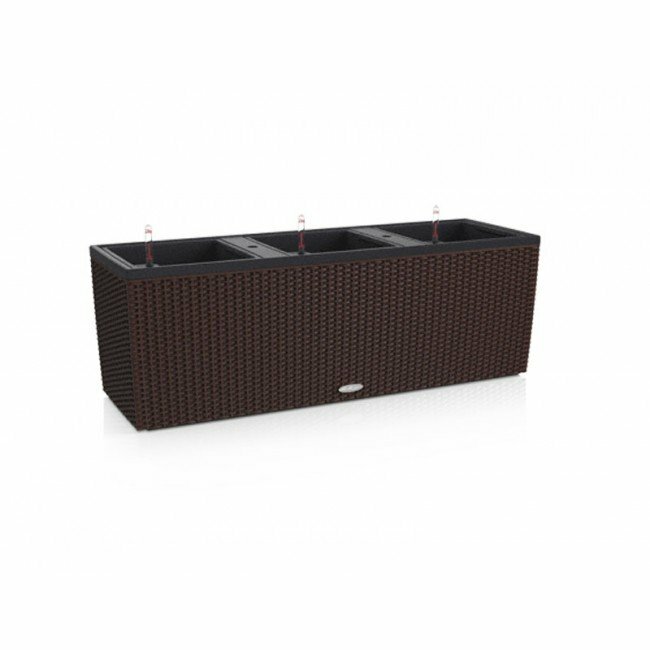 The Lechuza Trio is a versatile trough planter designed for patio, balcony, deck, porch, and garden use. 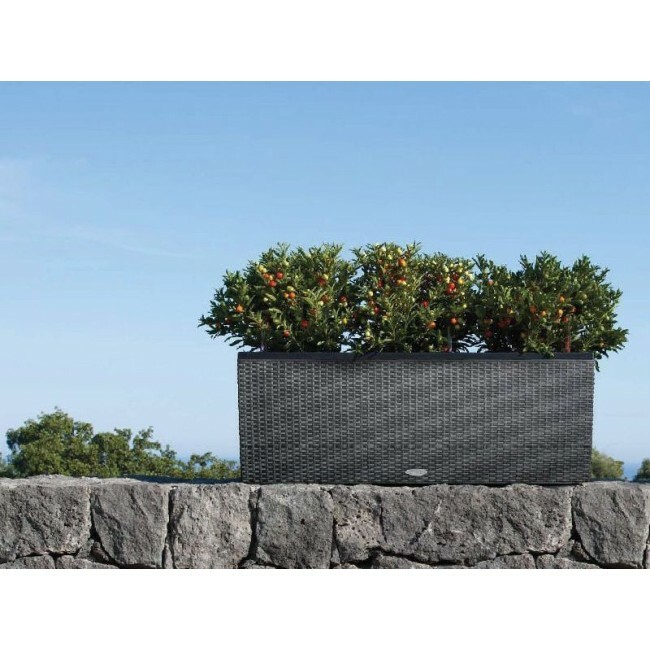 This decorative outdoor container creates luscious privacy screens for both residential and commercial landscapes. 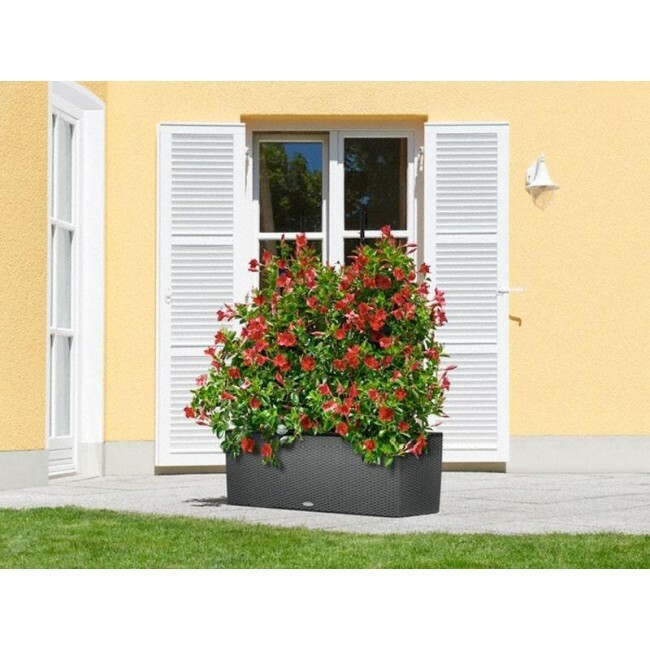 Its three interchangeagle plant liners allow you to pre-plant your flowers or plantlings with ease, then transport them to their desired location using the built-in recessed handles. 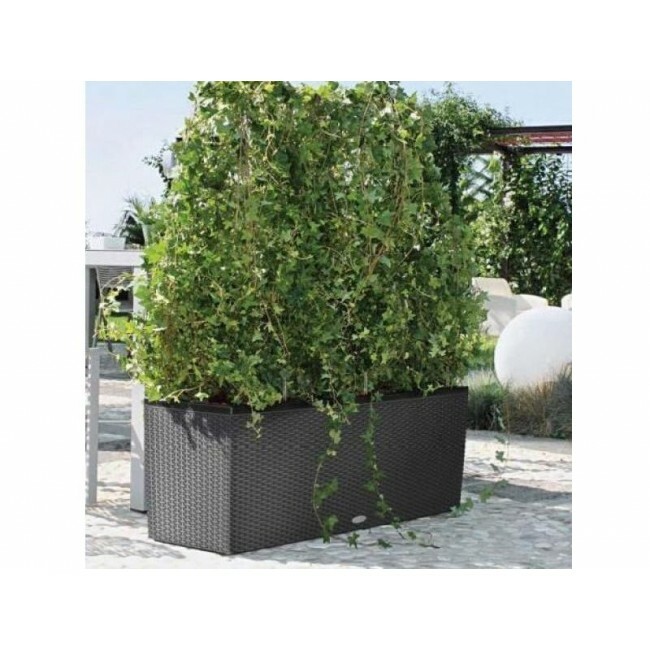 The removable liners also allow for plants that are not frost-proof to be transported to a more suitable location in the colder months. Use the Lechuza Trio to grow lush vining plants. 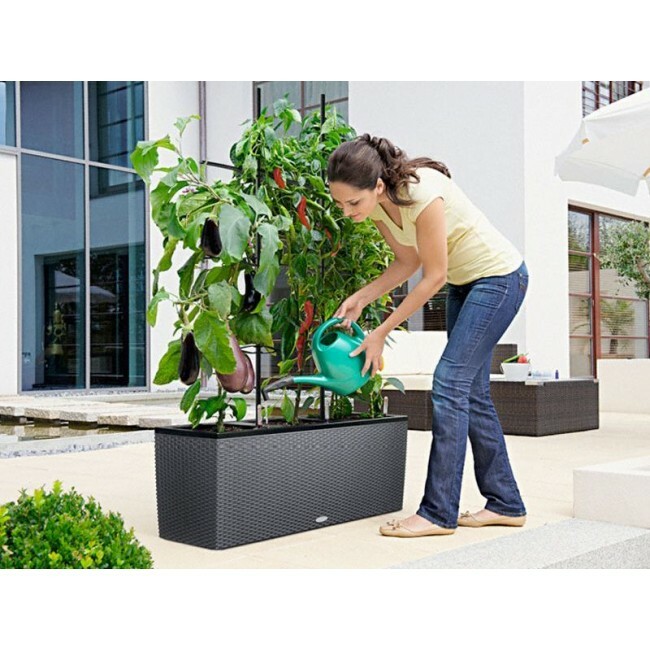 Enjoy the ease of the self-watering, sub-irrigation system. 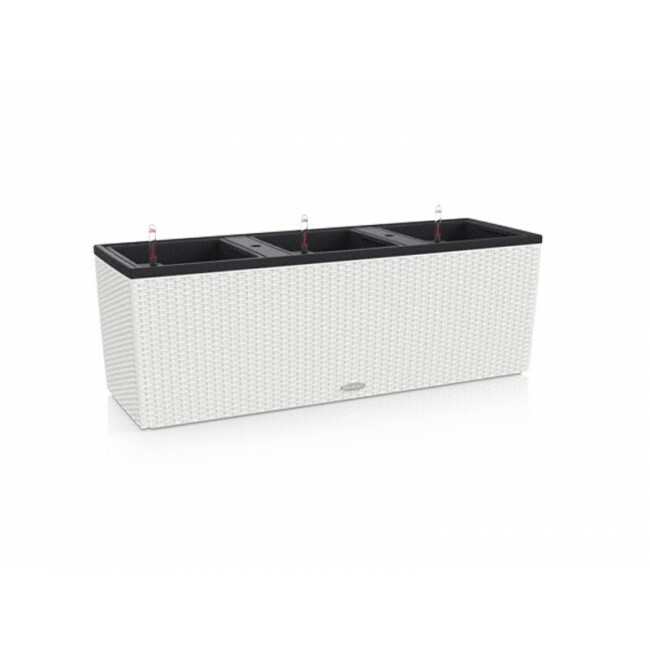 Sit back and watch while this state-of-the-art system provides a well balanced water supply for up to twelve weeks. The clever water level indicator will alert you when the water reservoir needs to be refilled. 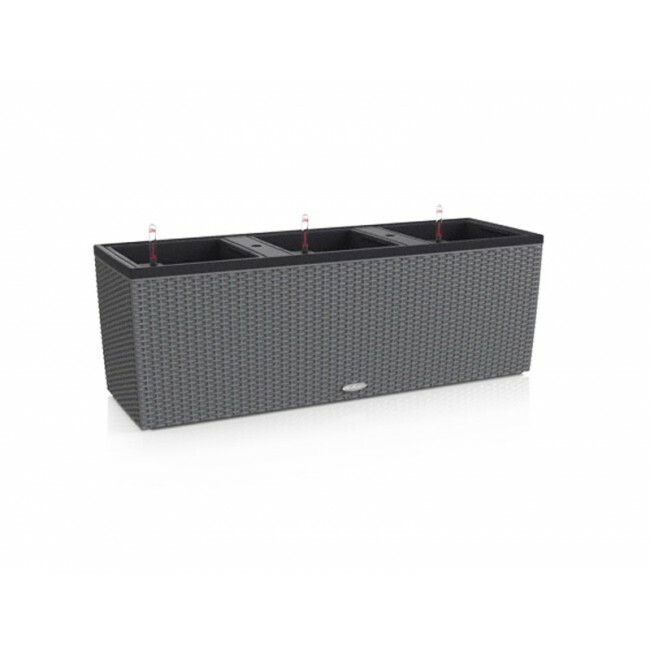 The Lechuza Trio is manufactured using a commerical quality polypropylene material that stands up to the elements. 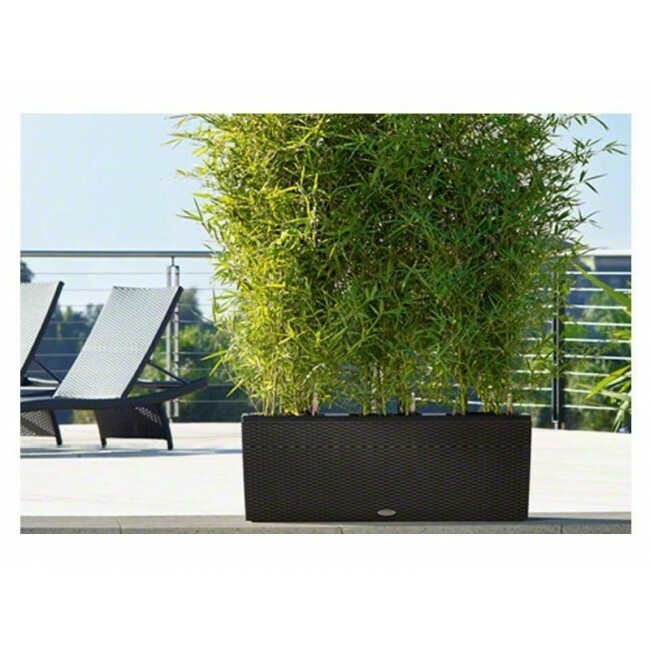 It has the appearance of a beautiful wicker planter without the fading or breaking. 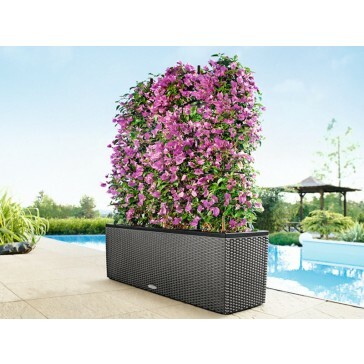 Its ability to tolerate a variety of climates makes it a perfect choice for lawn and landscaping plans.